This free online calculator will compute a mortgage's monthly payment amount based on the principal amount borrowed, the length of the loan (term) and the annual interest rate (APR). This calculator will also compute your total monthly mortgage payment which will include your property tax, property insurance and PMI payments. Then, once you have computed the monthly payment, click on the "Create Amortization Schedule" button to create a report you can print out to look at your home loan repayment information. So, you've finally gotten to the point where you're deciding whether to rent or buy a home. Truth is, both renting and buying have their advantages. Then again, they both have disadvantages too. Over the past decade or so, home ownership rates have dropped, but fortunately for you, this has made purchasing a home very affordable. Renting a home just doesn't make financial-sense anymore. Let's take a close look at ten excellent reasons that will make you want to buy a home instead of throwing your money away every month renting one. When renting a home, you most likely aren't going to be able to carry out updates to your residence. Instead, you will have to get them approved through your landlord first, and even after making them, once you decide to move from the home, you don't get to take your investments with you. If you purchase a home, however, you can do all the updates that you want, such as updating your appliances to those that are energy-efficient; this can save you hundreds of dollars each year on your utility bills. And better yet, if you ever go to sell your home, you will earn a pretty penny back on the updating-investments that you made. Do you want a fireplace in your living room? If so, you better plan on buying a home rather than renting one. Landlords most times don't allow for you to customize their properties to your specifications. The best way to go about doing this is to buy your own home. How about decorating your home with pictures? Believe it or not, there are many landlords who don't allow for pictures to be hung on the walls. If you are looking to personalize your living space, you should consider buying rather than renting. If you move around from one rented home to another, chances are you are wasting lots of money on furniture pieces that fit into each home. You can save money by buying a house and purchasing only a few pieces of furniture that fit well into the home. This also goes for rugs and other types of home-decor. If you choose to rent, you are more likely to squander away some of your hard-earned money. When buying a home, your money will go towards a monthly mortgage payment and any investments that you want to make into the home. In doing this, you are literally investing in your future because your home will be with you as long as you choose not to go delinquent on payments. If you choose to sell your home, you will make back the most of the money that you invested. If you choose to buy a house that has living quarters over a garage, you can turn this space into a rental property. In doing this, you can earn yourself some extra money, possibly even enough to pay for more than half of your monthly mortgage payment. For example, if your monthly payment is $725 and you rent your rental space for $375 a month, all you have to come up with is $350 a month to make your payment. If you don't rent, then you won't have a landlord, meaning you don't run the risk of getting get kicked out. You in fact are your own landlord when buying a home. Only thing you have to worry about is making your payments to your mortgage lender. Worrying about things like if your landlord is going to sell the property or rent to someone else is no longer a factor when buying your own home. When renting, if something breaks down, it often takes a long time to get it fixed. When buying a home, if something breaks, it only takes as long as you want for it to get fixed. From a broken dishwasher to a central heating and air unit that is in need of repairs, you control when the appliances get fixed. Better yet, you also control who fixes them, allowing you to rest assured your repairs will be carried out by someone you can trust. In today's economy, it seems everything goes up in price due to inflation. Thankfully, if you buy a home with a fixed mortgage loan, you don't have to worry about your mortgage payments going up--ever! Instead, you can rest assured your payments will always stay the same, which allows you to better prepare for the future because you will be able to create a realistic and accurate budget. When it comes to tax benefits, home ownership definitely has its advantages. From deducting mortgage interest payments to earning money back on the funds invested into energy-efficient appliances, owning a home has a wide variety of ways in which tax benefits can be enjoyed. If you choose to rent a home, you won't build up for yourself any type of equity. When purchasing a home, however, as soon as you make your first payment, you will be well on your way to building up equity. Having equity in your home can prove beneficial for a number of reasons, with the more common being you can tap into the money to pay for home improvements, children's college expenses and much more. Now that you've made the decision to buy a home rather than rent one, you need to understand how to determine local real estate market conditions. Sure, a real estate agent can help you do this, but of course this service will come with a fee. By following some very simple steps, you can be well on your way to saving a penny or two by determining local real estate market conditions yourself. Keep in mind, the real estate market is one that fluctuates on a daily basis. Just because you come to the conclusion you can buy a house for a certain price this week does not at all mean the same price will stick around next week. To get the most realistic price of a home, you need to compare it to other homes that were sold in the past six months that had similar square footage and are in the same or similar neighborhood. The best way to go about finding such homes is to do a quick Internet search. Once you have found at least five sold properties, narrow down the list to three homes that are most-similar to the home you are wanting to purchase. An ideal property that is of similarity will be within 200 square feet when it comes to overall square footage, it will be built in almost the same year as the home you are wanting to buy, and it will have the same number of bedrooms and bathrooms. Now it's time to start doing the math. If there are any significant differences between your potential property and the ones you are comparing it to, then you need to add or deduct the differences. For example, if you found a home that is almost exactly like the one you are interested in and it sold for $200,000, yet the one you want to buy has a swimming pool, then you need to deduct at least $20,000 from the selling price, leaving its actual comparable price right at $180,000. Do this to all three properties if applicable. After you get a final price for all three properties, add them together and divide by three; the number that you end up with will determine your estimated real estate market price for the home you are interested in. For example, say the three totals were $180,000, $200,000 and $175,000. After adding them up and dividing by three, you end up with a final estimated real estate market price of $185,000 for the property you want to buy. Keeping this in mind, if the home you want to buy has an asking price of more than $185,000, you should be able to talk the seller down considerably because the local market conditions call for it. Tip: When carrying out Step 3, take note that some amenities won't actually raise the value of a home. For example, a swimming pool may or may not add value to a home. In fact, in some communities it will raise its value by $20,000 or more, while in others, it will only decrease the value by the same amount. You can never start too early to buy your first home. In fact, as early as high school is a great time to start. So, how does a high schooler start preparing to buy a home. Well, for starters, if the parents allow it, having a cell phone in his or her name and making on time payments can be a great way to boost his or her credit score. But, what about you? Are you already out of high school? If so, don't fret. You can still start preparing to buy a home too. No matter your age, keep in mind, the best time to start preparing is today. Let's take an in-depth look at the things you can do to adequately prepare yourself for purchasing your first house. When it comes to buying a home, you need to realize that there are several types of mortgage loans for you to obtain. The two most common include adjustable rate mortgages and fixed mortgages. Adjustable rate mortgages often appeal to home buyers because they start out with extremely low payments; however, over time, the payments increase. Unfortunately, if you don't adequately prepare yourself financially, when the bigger payments come around, you may have to end up foreclosing on your home. On the other hand, if you obtain a fixed rate mortgage, you don't have to worry about your payments going up or down. Instead, you can rest assured your payments will stay the same throughout the life of the loan. Purchasing a home is huge investment. You should never rush through the process. You most definitely should not feel pressured by a real estate agent or broker to make a purchase. Instead, take your time, and never feel like you have to make purchase just because mortgage rates are low. If you don't know how much you can afford, you won't have a realistic idea as to the home that you should purchase. To effectively determine how much you can afford, you need to sit down and develop a budget, including all expenses that you are paying. Furthermore, you need to make sure that your sources of income are steady, meaning if there is a good chance you won't keep your job for the next ten to thirty years, don't count your income as steady. Also, once you determine how much you can afford, it's best to deduct ten to twenty thousand dollars off of this amount. For example, if you determine you can afford a $160,000 mortgage loan set up on a 20 year repayment schedule, don't spend more than $140,000 on a house just to be on the safe side. Remember, buying a home doesn't always mean you have to buy an actual home. Condos have many advantages, including not having to worry about yard work and much more. Without decent credit, you probably won't qualify for a home loan; this doesn't mean your credit score has to be 800 or above, but you most likely will need a credit score of 620 or higher. If you have a cosigner, make sure his or her credit is also good. When it comes to getting your credit in good shape, you can never start too early. With less than decent credit, you need to prepare yourself for the fact that it will take at least one to five years to get it in good shape. Your credit score will play a large role in the type of down payment that you will need to have to qualify for a mortgage loan. Of course with a higher credit score, the lower the down payment will have to be. With a great credit score, you may even luck out without having to put any money down. Nonetheless, a down payment is advantageous because you won't have to pay interest on it. Generally, your down payment should be somewhere around six months worth of the mortgage payments that you will be making. For example, if your monthly payments are to be $650, you should have a down payment of $3,900. Before you go about shopping for your dream home, you need to get pre-approved for a mortgage loan. In doing this, you can determine the amount of money that you will have to spend on a home, which will narrow down your list of potential homes to buy. When you go to get pre-approved, check with two or more lenders so that you can obtain the best rate possible. Sticking to a realistic budget: You will need good money-management skills to buy a first home, and sticking to a realistic budget is a sure-sign these skills are being mastered. Emergency savings fund: If your emergency fund is close to being empty, you may not be adequately prepared to buy a home. You need to remember that your emergency fund should not be used to make your home's down payment either. Instead, this account should be used for emergencies only. No debt collector calls: If you have debt collectors calling you on a regular basis, this is a good sign you aren't ready to buy your first home. Instead, you need to communicate with the collectors, setting up your debts to be paid off in under a year's time if possible. After doing so, then continue on your road to purchasing a house. You want added responsibility: Owning your own home comes with a lot of responsibility, including taking care of your own lawn, paying for repairs and more. If you aren't willing to do this, you should consider whether or not it is best for you to be your own landlord. You've found the perfect home. Its got more than the perfect price, and it even has more room than you thought you could afford. That's great, but don't make the purchase just yet. Instead, there are eight things you need to consider before closing the deal. Consideration 1. How's the Traffic? You need to visit your dream home several times throughout the day to get an idea of how traffic is. Sure, traffic may seem OK at 8:30 in the morning, but what about three o'clock in the afternoon when you little one is getting off the school bus. Or, perhaps traffic is heavy at six in the morning, right about the time you need to leave for work. If so, this could mean you have to leave for work an hour early every morning. This type of traffic could be a deal breaker. Consideration 2. What's the Local Newspapers Reporting? Chances are, the sellers of your dream home aren't going to tell you about any negatives the community suffers through. For example, if there are high levels of contaminants coming in through the water system, the sellers are likely to leave this tid-bit of information out. You need to check out local newspaper reports to determine whether your dream home is actually a home of your dreams or a nightmare. Consideration 3. What Do the Neighbors Have to Say? The neighbors should play a big part in whether or not you want to buy a particular home. If you don't get along with your neighbors, this can lead to huge problems. So, how do you go about determining whether the neighbors are good or not? It's simple. You talk to them. After a few quick conversations with them, you should be able to tell whether or not you will enjoy living next door to them. Consideration 4. Does the Home Pass an Inspection? Even the best homes have their defects. To identify these defects, it is important to carry out a home inspection. Although this type of inspection can be quite costly, it is best to spend $500 on an inspection than $250,000 on a home that falls apart after you buy it. Plus, by identifying any defects, you can use this to your advantage when it comes to negotiating the price of the home with the seller. Consideration 5. Are there Receipts? If the sellers tell you about home improvements that they have carried out, ask for receipts. In doing this, you can identify the materials that were used to complete the projects. For example, if a seller informs you that he or she just painted the exterior of the home, and the paint receipt reflects a cheap type of paint, this may be a sure-sign that you will be painting the home soon if you choose to buy it. If you are on a tight budget, your utility bills will play a large role in your purchasing decision. When you speak with the home's seller, ask for the past six month's utility bill receipts. If he or she doesn't have them on hand, its simple to get them from the local utility offices. It is very important that you look into the utility costs of owning your dream home. If you don't, you very well may end up purchasing a home that has higher energy expenses than your actual mortgage payment. Consideration 7. What Do the Taxes Look Like? Another important factor to consider when buying your first home is the taxes. You very well may be able to afford a home's accompanying mortgage payments, but can you afford the taxes? If you are purchasing a home in a community that uses local property taxes to fund its schools, you may well plan on your taxes increasing year after year. Consideration 8. What Does the Home's Surroundings Include? Your home's surroundings are a large factor in whether or not you will be happy. If you want to live close to a park, you will of course want to purchase a home that sits near a park. If you have children, you will want to consider your home's school zone as this will determine where your children will go to school. Other important things to look for include nearby airports and railroads. It would be bad for you to move into your new home only to be woke up at two o'clock in the morning to realize you live right beside a noisy railroad. There are many factors that will determine your eligibility to qualify for a mortgage loan. First of all, your household income and expenses will play a large role. If you have more money going out than you do coming in, this is sure sign you won't qualify for a mortgage. On the other hand, with more money coming in and a good credit score, it is usually pretty simple to acquire a mortgage loan. One aspect that will determine the rate you will qualify for is the downpayment that you can put towards your purchase. The higher the down payment, the lower your loan's interest rate will be. Your employment history will also affect your ability to qualify for a good rate. If you have several years of employment under your belt, this will of course be very advantageous. The best way to determine your monthly mortgage payment amount will be to use a mortgage calculator. When using one, you will enter the buying amount of the home, the down payment you can put down, the length of the loan and the interest rate. Once calculated, you will be able to view your monthly mortgage amount. For example, a $300,000, 30-year loan with a $60,000 down payment and a 4.376 percent interest rate will cost you about $1,565 a month. If you are on a tight budget, you may not have the option to choose between a 20- or 30-year mortgage. On the other hand, however, if you do have the option, you should most definitely take on a shorter mortgage. Let's take a look at a couple of reasons a 20-year or less mortgage loan is better than a 30-year. Reason 1. You can pay off 90 percent of a 20-year fixed loan before you pay off even half of a 30-year loan. Reason 2. A 30-year loan has a much higher interest rate than a 20-year loan. When compared to a 15-year loan, the 30-year has an interest rate that is 3/4 percent higher. No matter how you look at it, a shorter-term loan is financially better than a longer-term loan; however, if you can't afford a shorter-term loan, a 30-year may be the only option you have. When you buy a home, you get to call it your own. You can do whatever you want to the property, including landscaping, changing the decor as often as you like, painting the walls whatever colors you prefer and lots more. As you make payments, you will be building up equity into your home; this translates into a savings account for you that you can borrow against if a necessary circumstance arises in which you need cash. There's no better way to improve your credit other than owning your own home. With each payment that you make on time, your credit score will improve. There are many tax write-offs that you can take advantage of when owning your own home. When you and your neighbors own your own homes, in a sense all of you actually own the community you live in; this will give you a great sense of pride. By obtaining a fixed mortgage loan, you can budget your lifestyle around your mortgage payment without having to worry about a housing payment that fluctuates. When you know that your home is yours, you gain a sense of stability because you don't have to worry about getting kicked out by a landlord. When you buy a home, you make a great investment. Over the past 50 years, home have increased in value by more than five percent. Unless you pay cash for your home, you will have to have homeowner's insurance. Even if you do pay cash, it is still wise to buy insurance because this financially protects your home and your belongings. 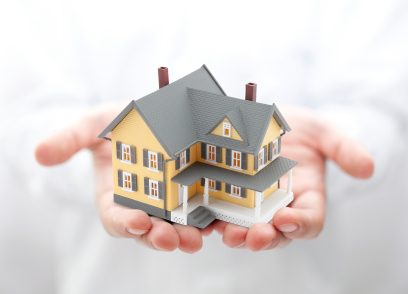 Most times, before you can close on a home purchase, you will be required to purchase an insurance policy. For tax purposes, you will need to obtain an appraisal on the home you are interested in purchasing. Many lenders will require you to pay credit report fees so that they can view your credit, which will be used to determine your mortgage loan eligibility. If your property has to be surveyed, you will have to pay for the associated costs. On a yearly basis, you will have to pay property taxes on your home. If the previous owner of the home paid such fees in advance, you may luck out and not have to pay them for a year or so. Because you are the home owner, you will be responsible for maintenance fees, which include taking care of the lawn, repairing broken appliances, updating plumbing and more. 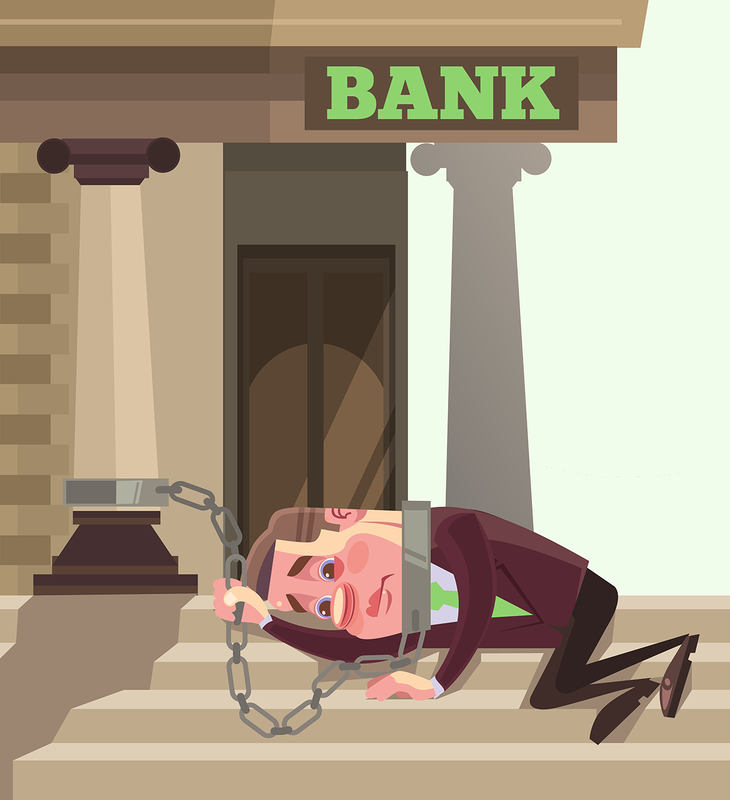 By making extra payments early in your loan, you can save a considerable amount of money. Extra payments of course means your loan will paid off sooner than expected, and more importantly, it means that you won't have to pay as much in interest. There is one thing to take into consideration, however, when considering extra payments. If you plan on staying in your home for less than 10 years and then selling it, then extra payments won't benefit you. On the other hand, if you plan on keeping the home, extra payments can get you out of your loan in anywhere from 10 to two years quicker, and the money you can save in interest will oftentimes be somewhere between $10,000 to $100,000. The exact amount of money that you will save will of course depend on your loan amount and how many extra payments you make. If you decide you want to make an extra payment each year, consider making bi-weekly payments. In doing this, you will make 13 payments instead of only 12; therefore, making an extra payment without ever noticing it. Don't let purchasing a home intimidate you. Although it is somewhat of a complex process, there are millions of people who purchase their first home each year, and this year, one of them can be you. To make the process as easy as possible to understand, it can be divided into eight steps. Let's take a closer look. Since your credit report plays a large role in your ability to obtain a mortgage loan, it makes complete sense that you will want to make sure it has no errors. If you do notice any errors, you need to make sure you have them corrected as soon as you can. One major thing to look for includes debts that have been paid off but aren't reflected as so. Remember, the higher your credit score, the better the loan you will qualify for. There are many online calculators you can use to determine the type of loan that you can afford. Keep in mind, when it comes to calculating your mortgage affordability, you need to take into consideration any future expenses that you may encounter, including children's college expenses. Shopping around for the right lender can be one of the most stressful parts of buying a home. You need to obtain your mortgage loan through a lender that you are comfortable with. Generally speaking, you should speak with at least three to four lenders before you choose one. After choosing one, get pre-approved. Although a pre-approval isn't the same as actually closing a deal on a home, it will at least give you a ballpark figure of the loan you will be eligible to qualify for. Also, pre-approval speeds up the process once you are ready to make an offer on a home. Now that you have been pre-approved, it's time to start shopping for a home. Before you go about on a shopping spree, make sure you write down your wants and needs. Such things include the amount of square footage that you want, the number of bedrooms and bathrooms that you need and any locality specifications. Once you have your wants-and-needs list made out, you can then starting scouting the area for homes that meet your specifications. When you shop around, remember to be patient. Sometimes, it takes quite some time to find a home that meets your preferences. Once you find the home of your dreams, and you will with time and patience, it then becomes time to make an offer on the home. Don't fret about offering a price well below the asking price. In fact, most sellers price their homes with the expectations that they will sell it for a lower amount. A good place to start is a price that sits about five percent lower than the asking price. Also, don't fret if the seller doesn't accept your offer. Many times, he or she will come back with some type of counter-offer. If you can't agree on a price after two or three offers, you may want to consider moving on to a different home, but hopefully, you and the seller can come to some type of reasonable price. Now that you and the seller have agreed on a buying price, you now need to secure your mortgage loan. Go back to the lender through which you were pre-approved and tell your loan officer that you are ready to buy a home. The officer will ask the type of mortgage you are interested in; either a fixed-rate or adjustable-rate. Remember, the most advantageous type of loan will be one that has a fixed-rate, especially if you are looking to stay in the home for the entirety of the loan. On the other hand, if you are looking to sell the home within the first few years after moving in, an adjustable-rate does have its advantages because payment amounts will be rather low during the first one to five years. It is very important for you to choose the loan that suits you and your lifestyle. If not, you may end up acquiring a loan that puts you in much financial stress. Now that you've closed the deal, it's time to move in. You can now call yourself a first-time home buyer. If you prefer, you can have movers transport all of your belongings to your new home, or if you want, you can do all of the moving yourself. It's completely up to you.